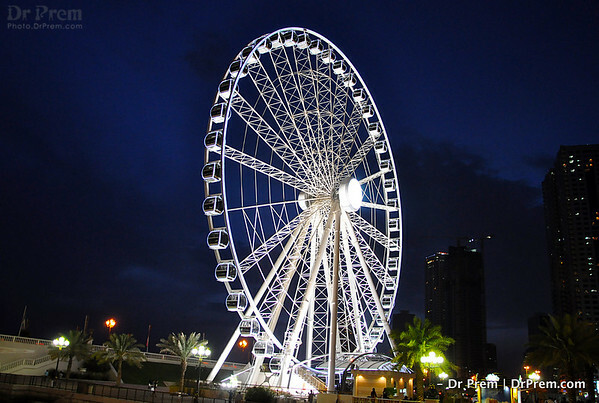 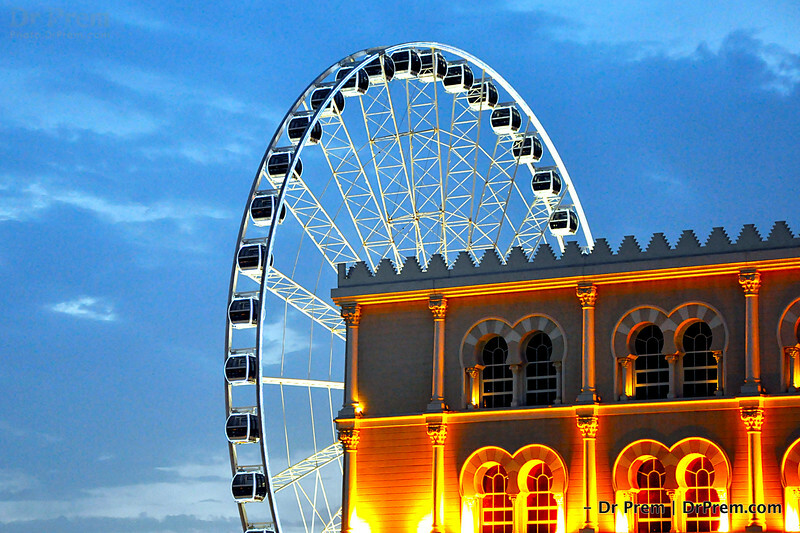 Sharjah is not just about its stadiums and nightlife, this giant Ferris wheel seems to remind us that life is as fair as a circle. 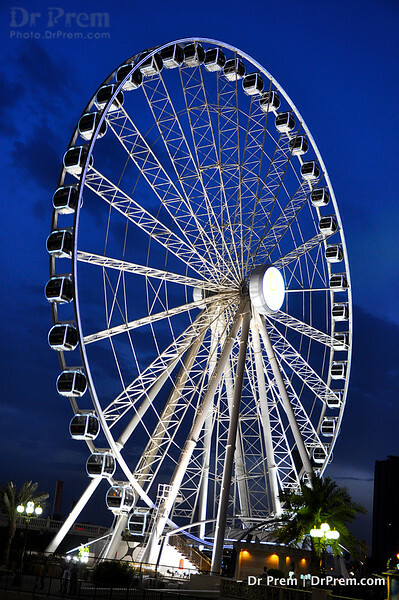 It goes on with the best and worst but gives numberless chances--to all those at the top as well as bottom! 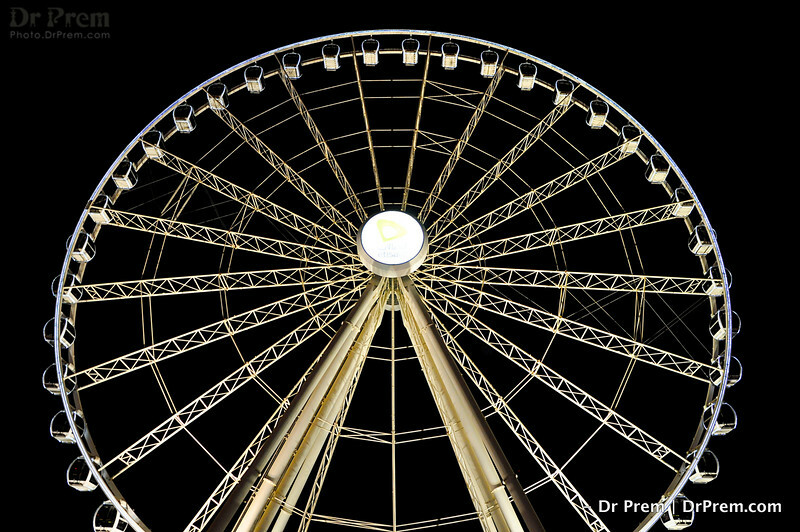 Life is uncertain but we know we can come down as soon as we are up but we also know we could go up even when down. 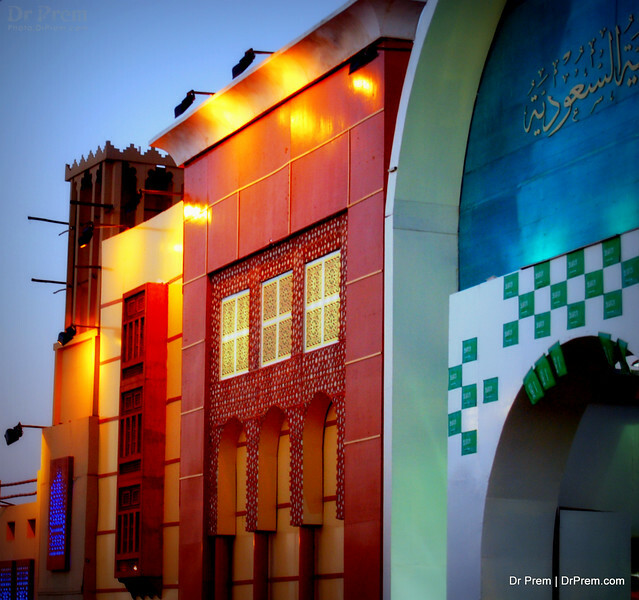 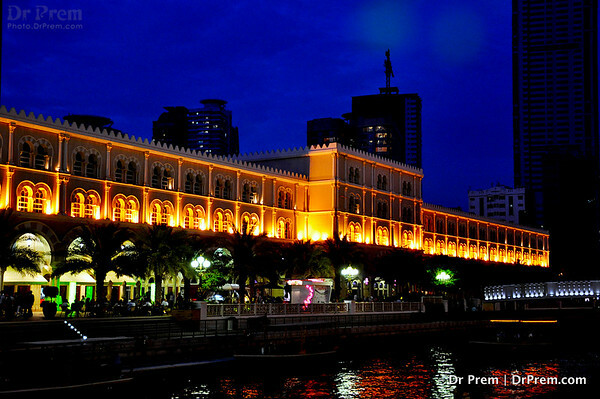 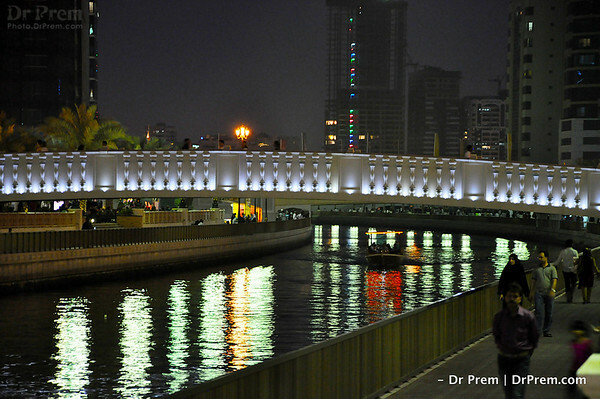 Sharjah delights us with its diversity and this mosque only reinstates the same quality. 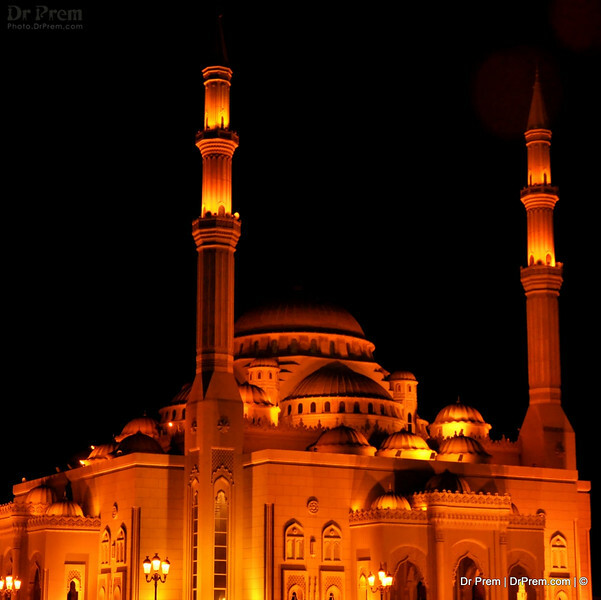 High rising, perfect and architecturally soothing, the call to prayer from the mosque reasserts our faith in the Almighty.